The result is a series of five short films, all made in collaboration with the residents of the home. There have been certain limitations in what we could and couldn’t do. In my head initially I had all sorts of ideas, but reality forced me to rein it in a little. 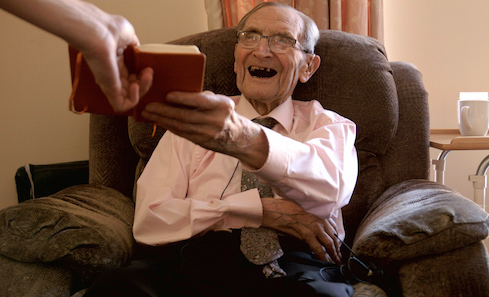 For example one of the films has been made with a 102 year old resident called Charlie. Understandably it was harder to get him to understand the concept itself, but we’ve definitely made something worthwhile, and he’s certainly enjoyed himself. 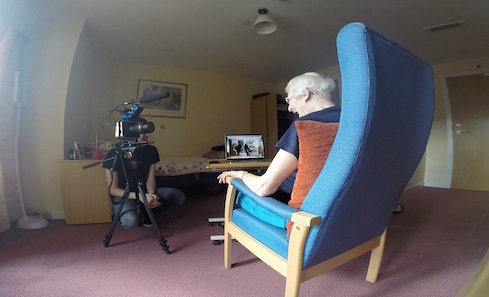 How have the residents at the care home found the experience of filmmaking? I’ve worked with a total of five residents, and I think each one of them has really enjoyed the process. Some were slightly reluctant initially, but once we got started admitted that they were having a laugh, and were glad they’d agreed to take part. Directed by North Merchiston: Edith Teaser - Have you got a job? from Duncan Cowles on Vimeo. What does it mean to be part of Luminate: Scotland’s creative ageing festival? It’s great to be part of a unique festival like this. I think with an ageing population, organisations such as Luminate are hugely important, and will be increasingly so over time to come. I had the pleasure of touring my film Directed by Tweedie with the festival last year round cinemas and the responses from audiences were great (it even got my granny recognised in the street), so when I was able to work with them again this year I was over the moon. I’d encourage anyone to go along to one of the events and see what’s going on. There really are some amazing things within the programme. 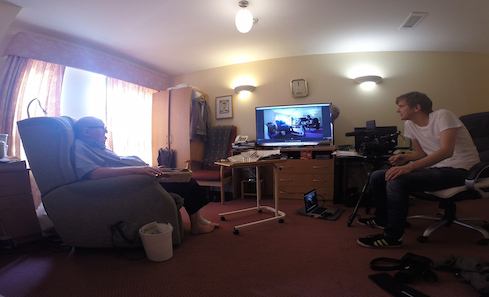 With Directed by North Merchiston, initially we’re doing a really small screening of the films for friends and family in the care home. The films will then take on a life of their own, and I hope there will be public screenings later. It’s really important that older people’s voices are heard by other generations, and often that doesn’t happen. What do you have planned following Luminate? 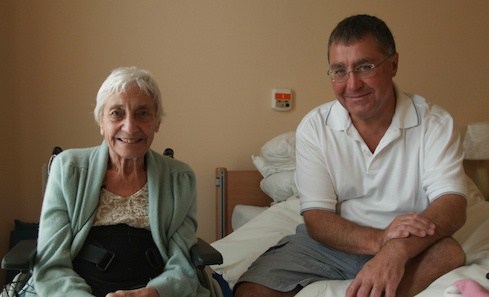 Firstly, the films will be launched to a wider audience at Scottish Care’s annual conference in Glasgow in November. Then I’d like to find ways for them to have a life, either at film festivals or online. So I’ll be working out a distribution plan and doing my best to make that happen. I’m then also working on two other film projects. One, a short experimental documentary film about a man who struggles to feel emotion, which I hope to have finished very soon, and also my first feature-length documentary which I’ve began developing. The feature film is in very early stages, but will look at how a lot of men, including myself find it difficult to show emotion to those closest to them. It has had some early support from the BFI through their RAW Award, and I’m currently looking for other funders to help the film through its development phase and into production. You can find out more about Luminate at http://www.luminatescotland.org or @LuminateScot, and also about Scottish Care – who have supported this commission – at http://www.scottishcare.org and @scottishcare. Luminate receives Regular Funding from Creative Scotland. We think that Creativity Matters to people in Scotland, find out why.